There’s nothing I love more than getting home after a long day, putting my pyjamas on, making myself a big cup of coffee and sitting down to get lost in the world of blogs – in fact that’s the current plans for the rest of my Sunday evening! Being a blogger I love reading other blogs because I love to see how other people write, take their photographs and just generally have a nose into what they’ve been up to lately. The main thing that really draws me into a blog has to be the writers personality, I like it when you can tell somebodies being real and isn’t afraid to say it as it is and show that life isn’t always glam and glitter. With the blogging community being as large as it is now, there’s so many blogs to choose from depending on what style you’re into (beauty, fashion, lifestyle etc) so today I thought I’d share some of my top beauty/lifestyle blogs with you – trust me this post could have been a lot longer! Starting off with one of my all time faves. If there was an award for constant quality posts then Adrienne would certainly win it! I love how her blog is always full of new posts to read, her reviews are informative without dragging on and being complicated and her photography is also incredible. Checking Adrienne’s blog has become part of my evening routine now as I know there’s always a new post (or 3!) to catch up on. Another blog that always manages to have constant content going up, something I never seem to manage! The thing that really draws me into Laura’s blog (besides her incredible photos) is her style of writing, it seems more chatty and as if she’s talking to her readers instead of just flooding them with endless amounts of information. I also love her love for high end makeup, although my bank balance doesn’t! What’s better than somebody who loves makeup? Somebody that loves makeup and One Direction! (l o l). We’ve had a few fairly emotional twitter conversations over the boys, she just seems to get me. Abbi also recently had her blog redesigned, and lets jut say it looks incredible! I love her range of posts and her style of blogging, she’s just such a genuine lovely down to earth girl. Kate’s blog (formerly known as Gh0stparties) is one I’ve been reading and following for many years now, in fact I think she was one of the first blogs I ever read and still to this day I make sure I never miss a post. I like how Kate isn’t all about beauty, she also shares travel, lifestyle and home inspo posts – she practically covers everything! When she shares New York related posts it makes me that one step closer to booking the flights! Caitlin is an incredibly loving and supportive blogger who runs a lovely blog, I often find myself getting carried away reading her posts – and lets just take a second to appreciate her blog layout and photography style, it’s just so eye catching! I also love the love and posititivity she shares towards other bloggers on social media, she’s adorable – a must follow! Jodie has somehow managed to master the art of blog photography – something I’m forever envious of! I love the posts she shares and again she’s also a bad influence on my wishlist! Another thing I love is that we’re similar ages so I just feel like I can relate to her, which being still in my teens (okay, if only for another 2 weeks) is something I find hard, a lot of bloggers are either a lot younger than me or already in their 20’s. 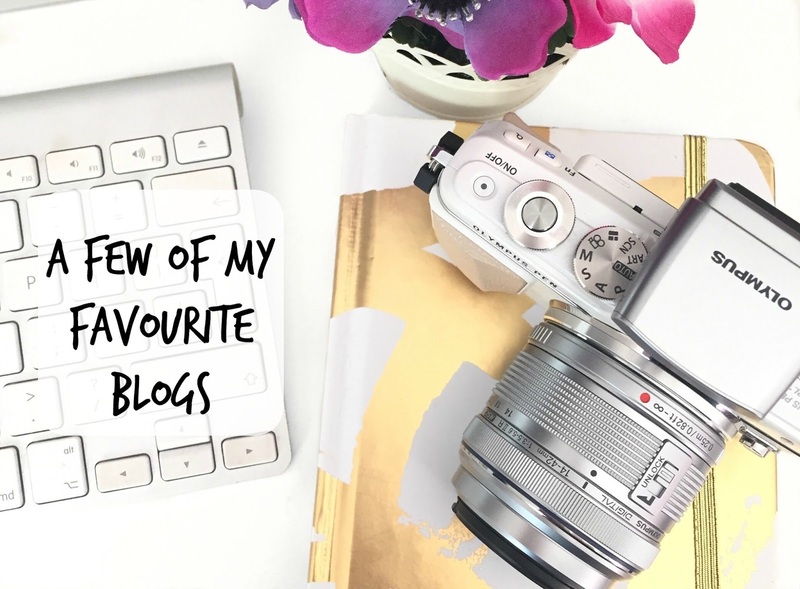 So those are the blogs I’m currently loving, what’s you’re favourite blog? If you’re blogger then feel free to leave me your links below, I’m always looking for new blogs to read!